Smart and stylish with its unique raindrop design. 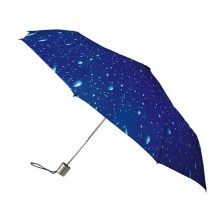 This strong, windproof, automatic double canopy umbrella is sure to brighten the dullest of days. 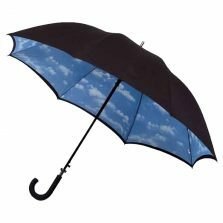 The Raindrops is the sister of our “Clouds” double canopy umbrella. 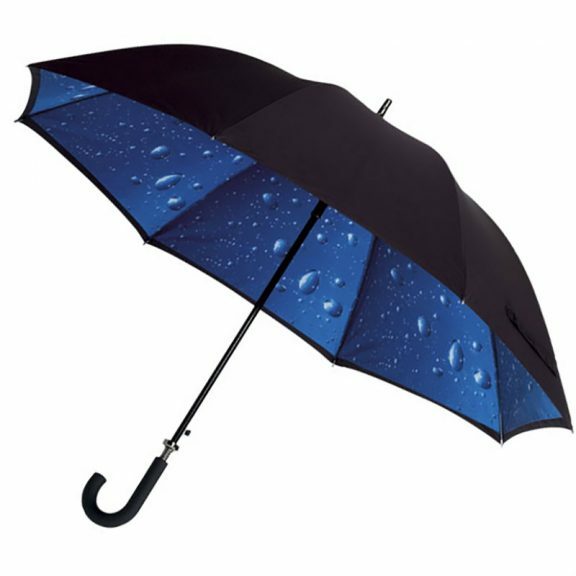 This strong, black automatic-opening, double layered umbrella also features a smart black outer canopy, a striking raindrop design on the inner canopy and a stylish black crook handle with integrated auto-release push button. With this double canopy umbrella you’ll benefit from strong, robust fibreglass ribs that ensure strength and stability in the wind. Canopy span of 114 cm and is 95 cm in length. This really is a good strong automatic walking umbrella, a black windproof walking umbrella. 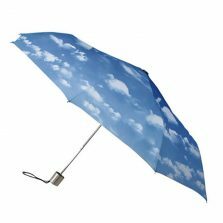 If you’re looking for a top quality black automatic umbrella you really won’t go wrong with this. When you receive it you’ll instantly appreciate the quality – a robust and truly rugged brolly. Not the umbrella for you? 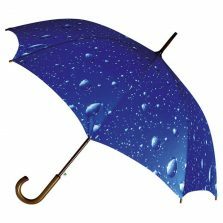 Check out the rest of our range of quality printed umbrellas! This has got to be one of the best and also excellent value for money. It feels substantial without being heavy. It is attractive when up and discrete when folded.